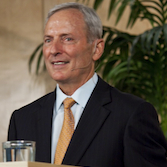 WASHINGTON — An ecumenical event featuring Hillsong United, Lecrae, Michael W. Smith, Josh McDowell, Ravi Zacharias, Francis Chan and other renown evangelical and Catholic speakers and musicians that is set to take place in Washington, D.C. is raising concerns as it seeks to draw a million attendees to “link arms” in unity, including with the Vatican. “Together 2016” is an event to be held on July 16 at the National Mall in Washington, and seeks to unite those of various backgrounds to “stand together for Jesus.” Both Christians and Catholics alike will be featured at the prayer and worship event. This week, Hall announced that Jorge Bergoglio, also known as Pope Francis, will be delivering a video message to those in attendance. Hall traveled to Rome on Thursday to meet with the Roman Catholic leader and other Vatican officials ahead of the event. 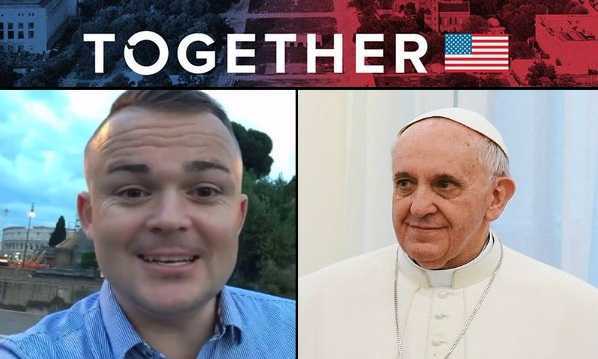 “We’ve been praying for this and God has been answering our prayers,” he said in an online video in speaking of Bergoglio’s support of the gathering, explaining that he and a representative from the Vatican discussed how to unite Christians and Catholics. Hall also noted that he and Bergoglio would be praying together on Friday. “This is just what God’s been doing,” he asserted. Supporters of the event include The Billy Graham Evangelistic Association, the Luis Palau Association, CRU (formerly Campus Crusade for Christ), Intervarsity Christian Fellowship, Premiere Productions, the National Day of Prayer, YWAM, the American Bible Society and other organizations. Confirmed speakers include Francis Chan, Ravi Zacharias, Josh McDowell, Southern Baptist Convention President Ronnie Floyd and National Hispanic Christian Leadership Conference President Samuel Rodriquez. Music will be provided by Michael W. Smith, Hillsong United, Lecrae, Kari Jobe, Jeremy Camp, Lauren Daigle, Casting Crowns, Kirk Franklin, Andy Mineo and Matt Maher, among others. Worship leader, Matt Maher, who identifies as a Roman Catholic, has outlined at other ecumenical events that he believes it is his calling to work toward to the unification of Christians and Catholics. However, not everyone believes that Christians should link arms with Roman Catholics and set aside major differences that go to the heart of the gospel. “Nick Hall either does not know the exclusivity of the gospel of God or he does not know the Roman Catholic plan of salvation because they are diametrically opposed,” Mike Gendron of Proclaiming the Gospel Ministries told Christian News Network. Gendron is a former Roman Catholic who now teaches evangelicals how to share the gospel with Catholics. “We’re divided on how one is born again: Rome says water baptism, the Bible says the work of the Spirit. We’re divided on how one is justified: Rome says faith plus works, the Bible says faith. We’re divided on how one is purified of sin: Rome says purgatory, the Bible says the blood of Jesus. We’re divided on the essentials of the gospel: Rome has other mediators, the Bible says it’s Christ alone,” he explained. Gendron said that Jesus himself came to divide with truth, and prayed that His Church would be sanctified with that truth. Gendron also stated that he is concerned about the message that it will send when Christians see evangelical leaders involved with an event that validates Roman Catholicism, and therefore does not view those in the religion as a mission field. “This is going to put the gospel off limits to many Roman Catholics who are there, so it will also confuse the evangelical Church,” he said. In addition to concerns about unification with the Vatican, there are also questions about Hall’s inclusion of Andy Mineo at the event following his defense of profanity earlier this year on Twitter. As previously reported, some have likewise expressed concern over Kirk Franklin’s appearance on profane rapper Kanye West’s new album. Hall did not respond to Christian News Network’s question as to whether an artist’s behavior is a factor when being vetted, or if there is a vetting process at all for speakers and musicians.